When you think about Phuket, you have images of beaches, night clubs and flee markets running in your head. Phuket Fantasea is nowhere to close any of those images. 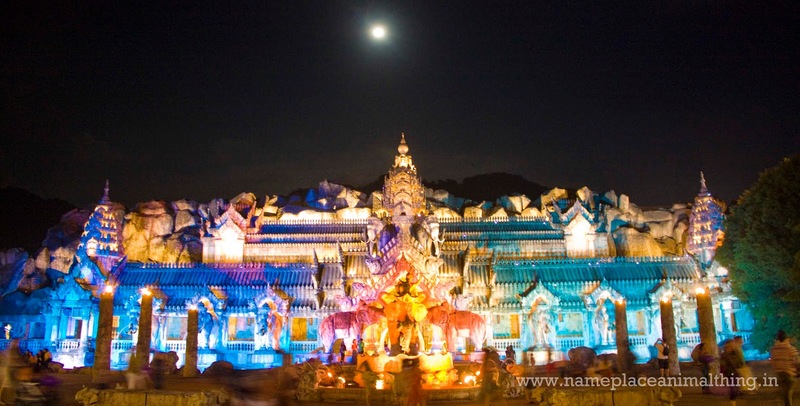 Inspired by the rich and exotic heritage of Thailand, this cultural and entertainment theme park spread over 140 acres is bound to mesmerise you. Despite the high capacity, their team does an excellent job of managing the operations in a very systematic manner. It is open from Friday to Wednesday and remains closed on Thursdays, unless it falls on a public holiday. You can purchase the tickets through your nearest travel agent in Phuket or online on their website. If you book the tickets early on, you will have the privilege of selecting your seat from the theatre capacity of 3,000. However, for the gold seats upgrades you will have to pay an addition THB 300. 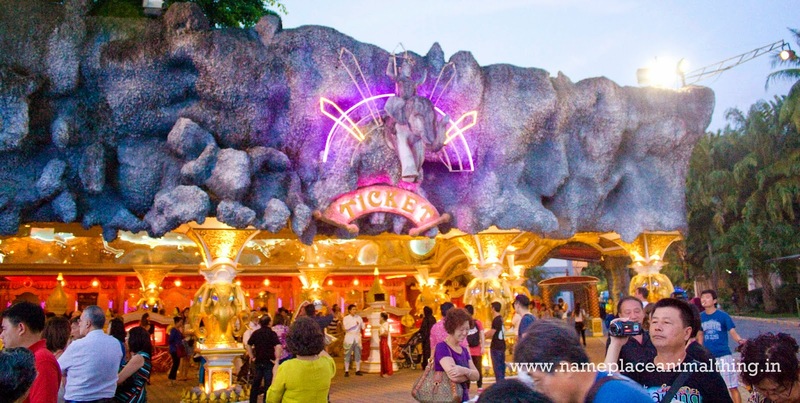 The ticket price includes the entry to the theme park and depending on your selection, you can either go for only the Buffet Dinner (THB 900), only the show (THB 1800) or both (THB 2200). Unless you are staying within a radius of 2-3 kms and have your own transportation, it is advisable to opt for the pick-up and drop facility offered by them at THB 300-600 (depending on your pick-up point in the city). Also remember that by the time the show gets over and you step out of the theme park, it will be around 22:45 hrs. You might have difficulty to secure transportation for your return journey. 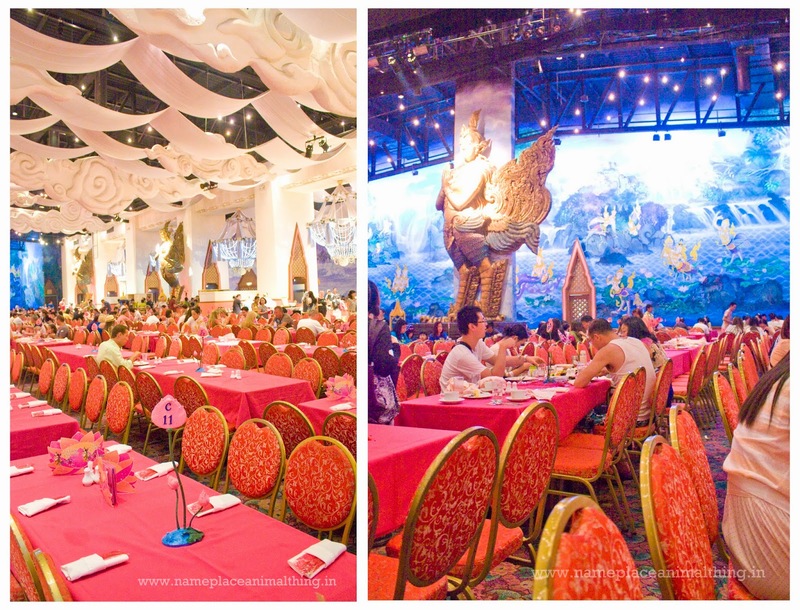 As a part of the Show + buffet ticket, the dinner is served at the The Golden Kinnaree Buffet Restaurant, Asia’s largest buffet restaurant with a seating capacity of 4,000 people serviced by 200. They also have 6 bars and offer Halal food in a separate Muslim-only zone. Your table will be assigned at time of ticket issuance. The food menu here comprises of Thai and International delicacies. The buffet dinner is open between 1800 hrs and 2100 hrs. Suriyamas Seafood Buffet is available to all guests (ticket holders) of Phuket FantaSea as an optional upgrade. If you have booked for or purchased “Show & Buffet Dinner” OR “Dinner Only” tickets, Suriyamas Seafood Buffet upgrade will cost just THB 950 additional per person, regardless of age. The main show – Fantasy of a Kingdom is performed at the Palace of Elephants theatre. The gates open 20 mins ahead of the show timing at 2100 hrs. You will be completely mesmerised and impressed by the use of technology for the storytelling. Cameras are strictly prohibited and there is a heavy fine if you are caught filming the show. There is a counter at the entrance where you can deposit your cameras and other belongings and trust me, just like other facilities, this one is safe and systematic too. The show lasts for 70 mins and if you have deposited belongings at the counter, account for another 10-15 mins for securing them back from the counter. It is advisable to block the second half of your day post 4 p.m. if you have opted for a pick up. Only if you arrive at around 1800 hrs, will you be able to spend enough time enjoying various sections of the theme park and finish your dinner at ease ahead of the show. There is enough and more for all age groups to enjoy and appreciate in the theme park. There are couple of zones inside where kids can purchase coupons and play games. 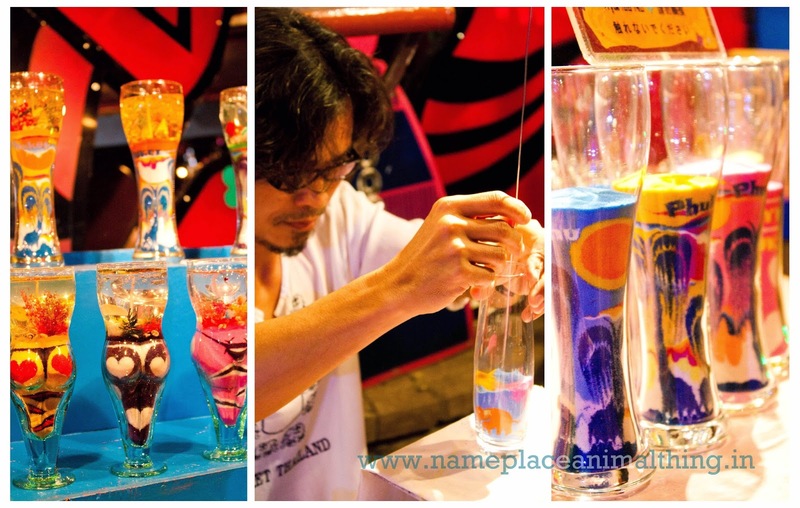 There are some shops inside from where you can pick local handicraft too. 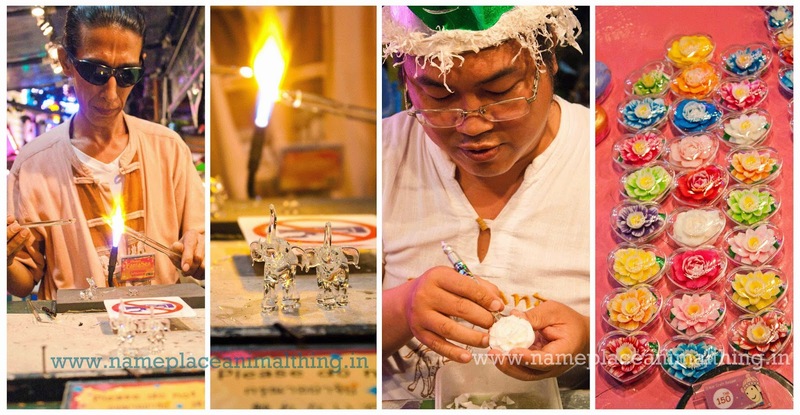 There are some interesting kiosks where you will see skilled craftsmen working on glass art, sand art and carving designs on soaps etc. On certain timeslots, there are certain performances on the centre stage. You can pick up the guide with the map from the ticket counter and it will definitely make your journey inside more organised. 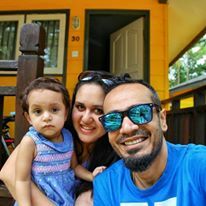 The agent we booked out ticket from offered us booking at discounted rate. Another thing he mentioned was that Asians can avail an additional discount – don’t ask me why or how. But if you are planning a trip to Phuket, you must visit Phuket Fantasea. I decided to skip Phuket Fantasea because I didn’t want touristy experience. Looks like you guys enjoyed your visit.